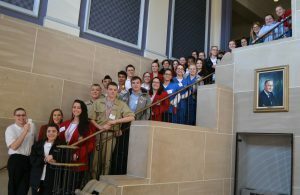 Front Row (left to right): Logan Bellum, Jessie Stump, Alexis Gresh, and Hannah Wohlforth; Back Row (left to right): Pamela Slusser, Jeana Alexander, Caitlin Gordner, Jenny Acosta, Hannah Headdings, Calley Travelpiece, Brooke Mertz, and Brianna Burgess. Not pictured: Luke Gregory, Alex Cole, and Daniel Casey. 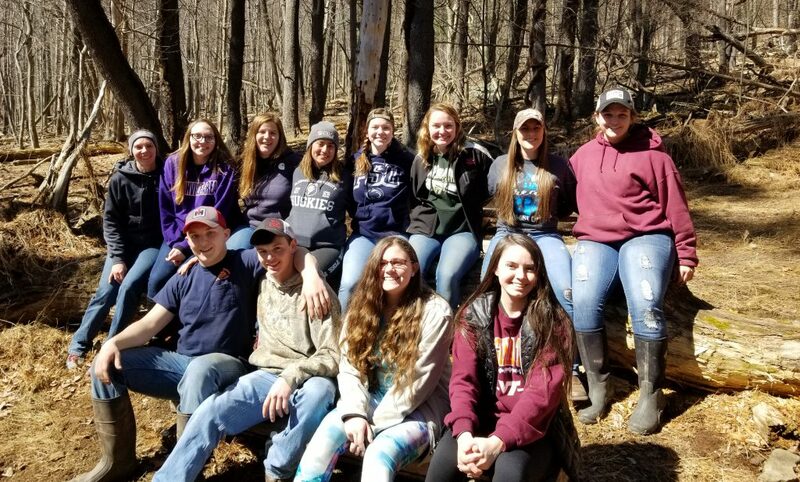 Students from Columbia-Montour AVTS spent the day on March 26th working on the nature trail at Beaver-Main Elementary School as part of a community service project. Students raked the trail, cleared fallen branches and prepped the outdoor classroom/learning areas along the trail. They also cleared and prepped a garden area that will be planted with native plants to attract butterflies, birds and other wildlife native to our area. 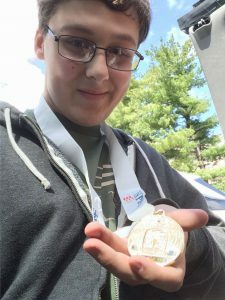 The SkillsUSA chapter at Columbia-Montour AVTS will be hosting a community work day on April 8th from 9am to 1pm where the public can volunteer to come help with the final touches on the trail in preparation for Elementary students from the Bloomsburg School District to learn about nature and the outdoors through an outdoor education day. This is all part of a Community Service project that has been planned and coordinated by three SkillsUSA students, Jenny Acosta, Caitlin Gordner and Hannah Wohlforth in preparation for a competition at the state level, which will be held on April 19th in Hershey, PA.